Ugh – They were gross… really, really salty. I definitely thought about my method a little more before I tried again. I got my cucumbers from the Lancaster Farm Fresh stand at central market. 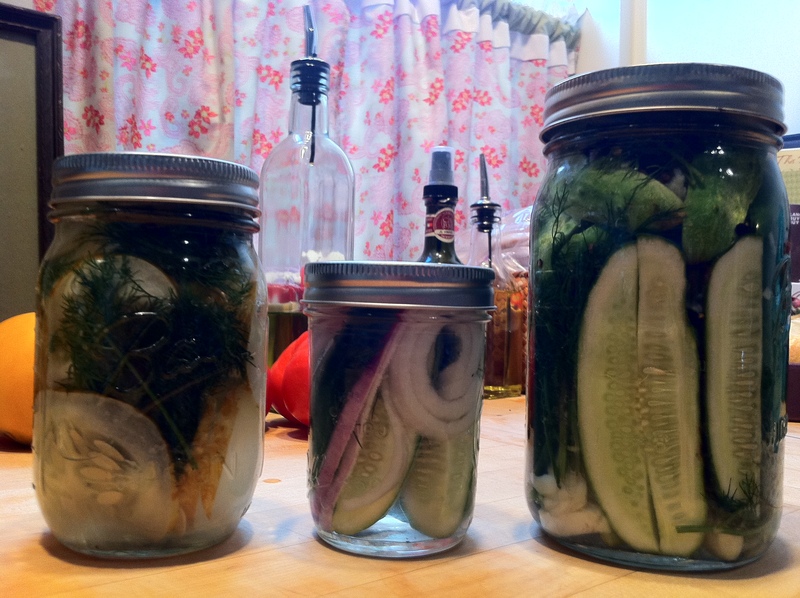 One jar included pickling cucumbers, dill, and smashed garlic cloves. 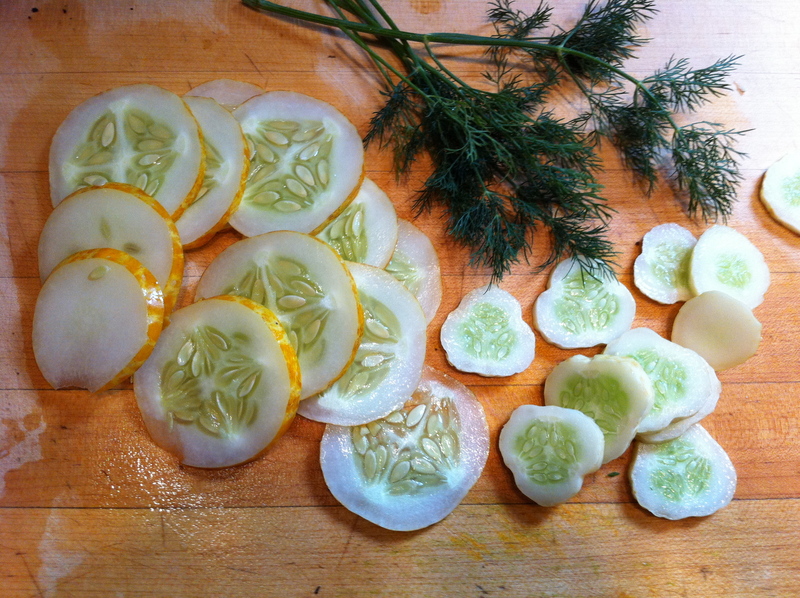 Another jar included a sliced lemon cucumber, sliced small white cucumbers, smashed garlic, and dill. 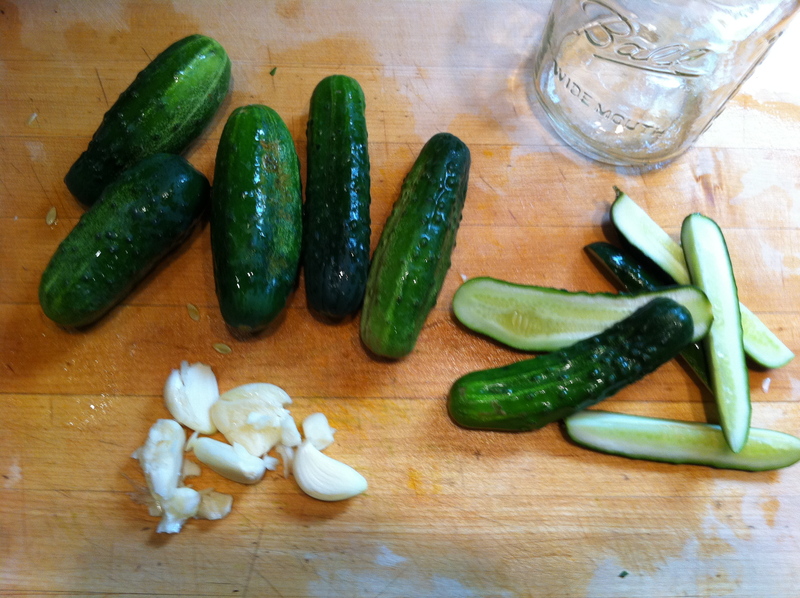 The last little jar included the left over pickling cucumbers and some sliced red onions. 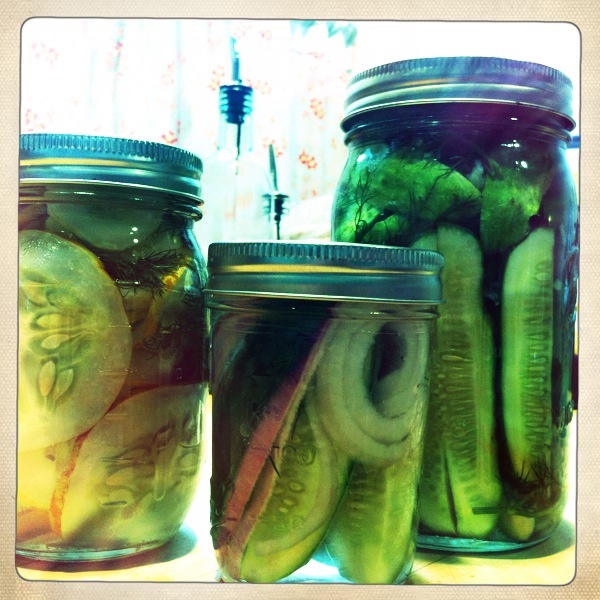 I am proud to say that these pickles came out splendid! 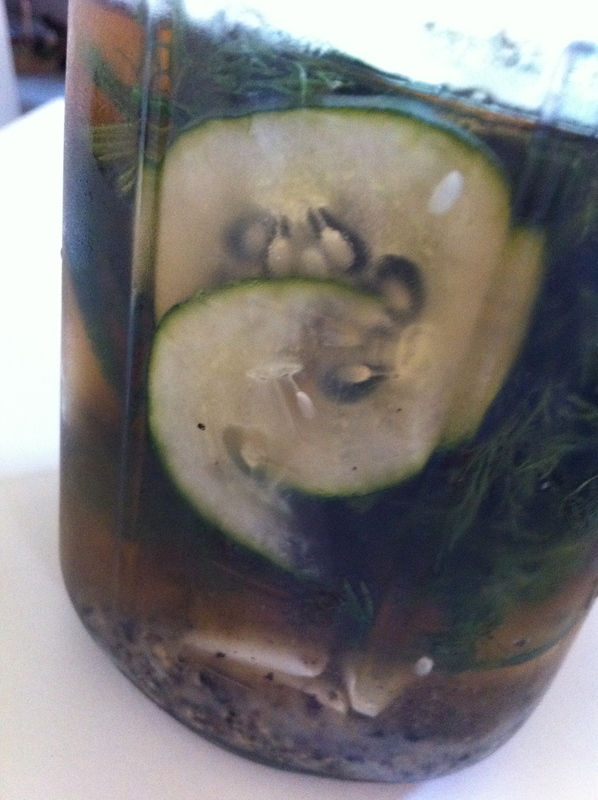 I think the small white cucumbers made my favorite pickles. The pickles with pickled onions were Dan’s favorite. He suggested making relish out of them, which I think is a great idea. The pickle and onion mixture would be a great topping for a hot dog, perfect for summer.